Henry Knox was a major force in the outcome of our nation's War for Independence and in the formation of our government. He served as the head of the Artillery for the Continental Army and as a trusted advisor to General George Washington. He is responsible for the transportation of 59 cannon from Ft. Ticonderoga to Dorchester Heights, a feat that forced the British to evacuate the city of Boston. In addition, he changed the use of artillery from siege weapons to an assertive forward position, a decisive factor in winning the war. While serving as Secretary of War in President Washington's first cabinet, Henry Knox commissioned the first six frigates, including the USS Constitution (Old Ironsides), which became the foundation of the United States Navy. His ideas for military training were the basis on which the military academies of West Point and, much later, Annapolis were created. He also had written the rules for training of civilians which were finally put into practice more than a century after his death with the establishment of the National Guard. 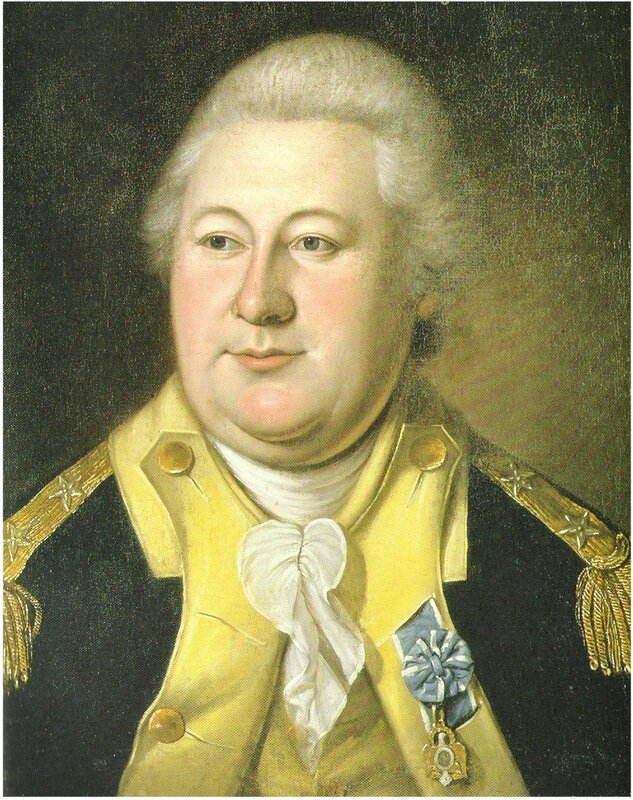 Henry Knox was born in Boston in 1750. His formal education came to an abrupt end when he was nine years old and from then on he diligently studied and educated himself while earning a living to help support his mother and younger brother after the loss of his father. His favorite subjects to study were the ethics of the ancient Greeks and Romans, history, military tactics and the French language. He worked as an apprentice in a Boston bookstore, opening his own at the age of 21. Lucy Flucker, daughter of the Royal Secretary of the Massachusetts Bay Colony, became his wife on June 16, 1774. The couple had thirteen children, of whom only three survived to adulthood. At the age of forty-five, Henry Knox retired from government service and built his home in Thomaston, Maine, where he became active as an entrepreneur. He built boats, burned lime, raised cattle, sheep and goats, cross-pollinated plants to make them winter hardy for the long Maine winters, built roads and locks along the rivers to increase shipping to interior towns and helped industrious newcomers to the area by investing in their businesses. Just as his investments began to show a profit, Henry Knox tragically died at the age of fifty-six. His magnificent home eventually fell into a state of disrepair and was torn down in 1871 to make room for the Lincoln-Knox Railroad tracks. The building was eventually rebuilt from the original plans but on a different site and is now a handsome museum at the intersection of U.S. Route 1 and Route 131 South in Thomaston. The Thomaston Historical Society is housed in the only remaining building from the original estate, built in 1794, a brick farm house that, from 1872 until 1956, served as the town's railroad station. Library of Congress shows a short biography of General Knox.